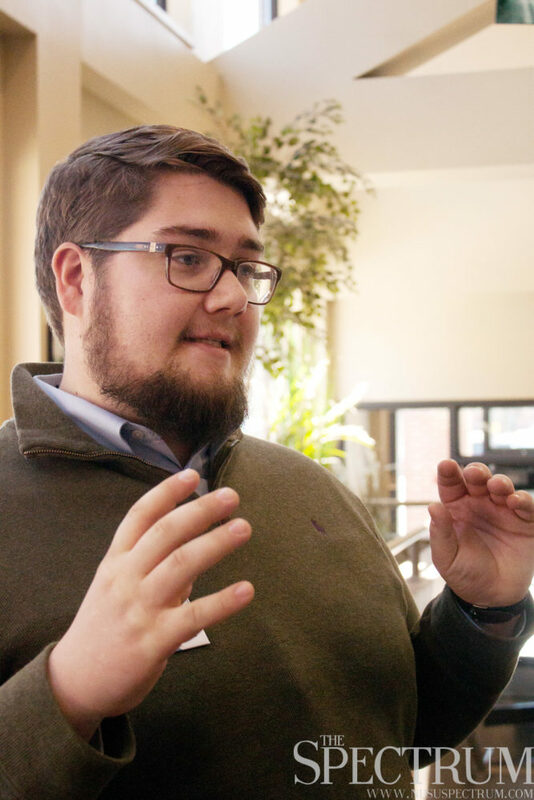 Eric McDaniel (pictured) and his running mate, Josh Fergel, are members of Sigma Alpha Epsilon. Historians often cite Athens, Greece, as the birthplace of democracy. This Greek philosophy continues some 8,000 years later this spring at North Dakota State. 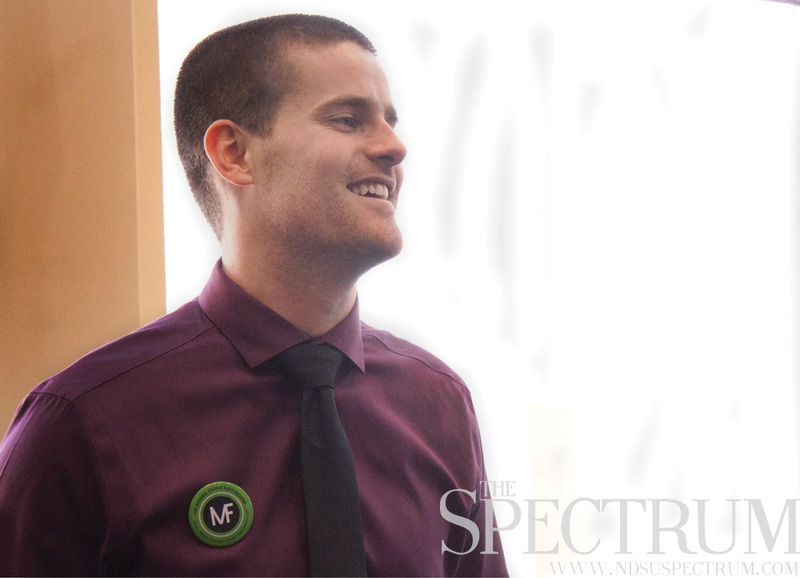 For the third time in as many years, at least one member of North Dakota State Greek life will hold the highest ranks of student government. Eric McDaniel and Josh Fergel, both members of Sigma Alpha Epsilon, are vying for student body president and vice president, respectfully. Their ticket is opposing Robert Kringler and Aaron Weber, a duo of Delta Tau Delta members running for president and vice president, respectfully. Robert Kringler (pictured) and his running mate, Aaron Weber, are members of Delta Tau Delta. Diedrich Harms has been a member of SAE for over two years. He has resided as president since last semester. Harms said though SAE cannot officially support a ticket like McDaniel and Fergel’s, the fraternity backs their brethren, nonetheless. Volunteering for campaigning happens through friendship, not associated organizations like SAE, Harms said. The same campaign rules apply in Delta Tau Delta, fraternity president Connor Baker said. Baker also said some members of DTD are helping Kringler and Weber campaign. Both Baker and Harms said while their respective brethren could hypothetically work with the other ticket’s campaign, neither know of anyone doing so. While he was very active in Greek life leadership, McDaniel said he became active in student government just this year. McDaniel said SAE has helped his ticket mostly through support. Kringler said the same of DTD. “The Greek community as a whole is pretty tight-knit,” Kringler said. Kringler was his pledge-class president at DTD when he joined the newly founded fraternity his first semester. Kringler and Weber are the second all-DTD ticket; Robbie Lauf and Erik Diederich ran unopposed two years ago. 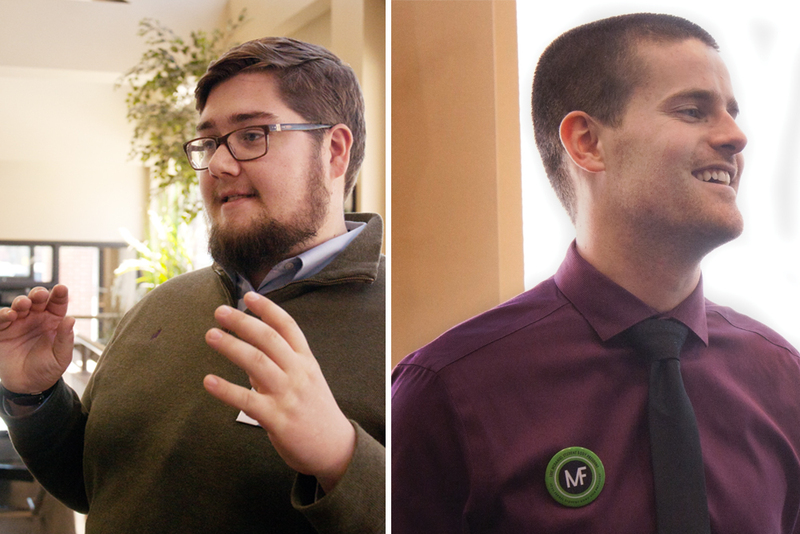 Fraternity presidents and student body election hopefuls had differing thoughts on why Greek life is predominant in student government and elections. McDaniel said both Greek life and student government foster leadership. “The awesome leadership opportunities that develop a leader can be found” in both organizations, McDaniel said. Harms said he thinks the bubble is created in part by the prototypical students looking for change. Whether the link between Greek life and student government is positive or a negative lies in the eyes of the beholder. Baker said he shared similar thoughts. “As long as Greeks have a passion for service and leadership I think we will continue to see them on the ballot,” he said. The 2014-15 president and vice president ticket has one Greek life member. In her first semester at NDSU, Hilary Haugeberg joined Kappa Delta. Haugeberg, who is finishing her term as vice president, said Greek life greatly helped her campaign last spring. Echoing the fraternity presidents, she said there is no rule that barred her KD sisters from campaigning with the opposing ticket. However, Haugeberg said she knew of no dissenting members. She said, among other supportive actions, almost all of her sisters changed their Facebook profile pictures to support Haugeberg and her running mate, President Sarah Russell. Russell, who has never been in Greek life, said not being involved with sororities or fraternities should not factor into who runs for student government or elections. But the correlation doesn’t surprise her. “Students who seek out high involvement like Greek life are also students that would seek out an opportunity to run for student body elections,” she said. Haugeberg said while she sees the correlation as more random than anything, she supports students both Greek students and nonmembers.